304 quality of stainless steel finds its reason in less possible corrosion issues and to have the polished and the chromed finishing version for a totally match with taps’ visible aspect. Even for this range the products are made by interchangeable components and provided with the latest technology applied on the FCR production, as REVO plug for pop up waste and System 21 for clic clac one. Best seller are the combination with ceramic and also brush cover. FCR srl is an italian company specialized in production of brass wastes and bathroom’s accessories, boasting a completely internal manufacturing process with CNC lathes, polishing tools, galvanic bath and automatic assembling lines. Considering the several markets requestes for quality issues and price matters, FCR developed new patented produtcs and new alternative raw materials series as the line of pop up and clic clac in zamak and plastic. 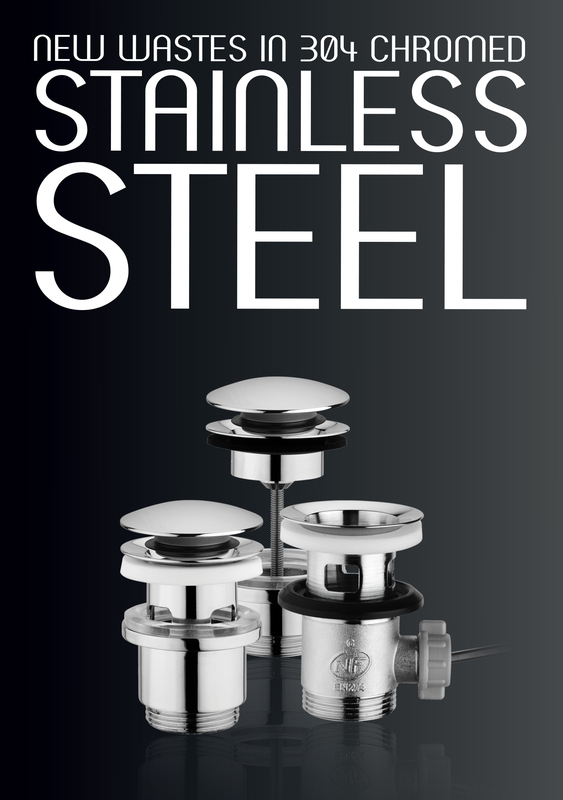 FCR is now proud to introduce and supply the pretty new range of products completely in stainless steel 304 polished or chromed. The company is a modern and international reality in the hydrosanitary field also thanks to its brench in Shanghai that satisfy global costumers also for delivery in Asia. FCR production of brass, zamak, plastic and stainless steel 304 is NF, PHAS, Reach and RoHS certificated.